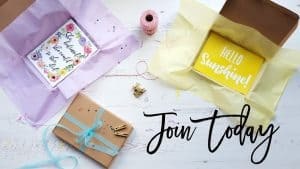 All of the subscription boxes recently, for all brands, have been amazing and the July Treatbox is no different. 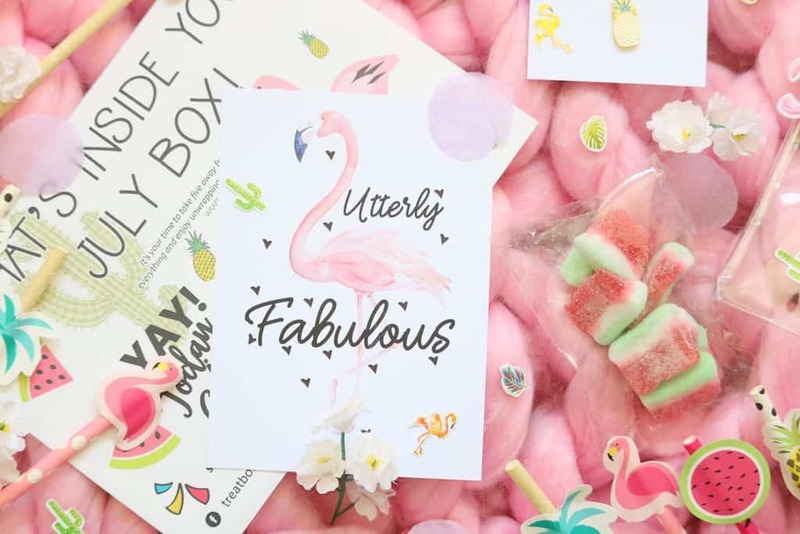 The July box is themed around summer including cacti, flamingos, sweets, pineapples and cocktails. The ‘build your own box‘ from Treatbox scored a perfect ten and this one is going to be a very close second. It’s definitely one of the best boxes I’ve received from Treatbox so far. 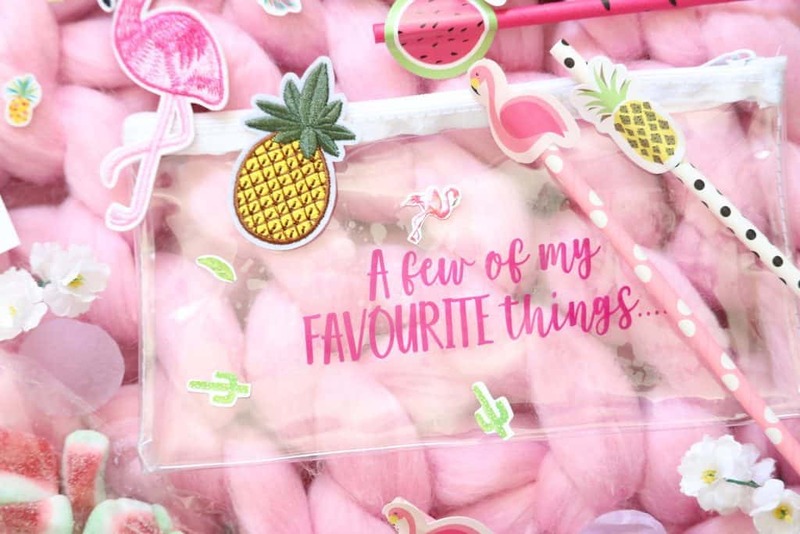 There is a whopping eight items in this months box which is amazing and they are all so cute and summer themed – perfect for this time of the year. 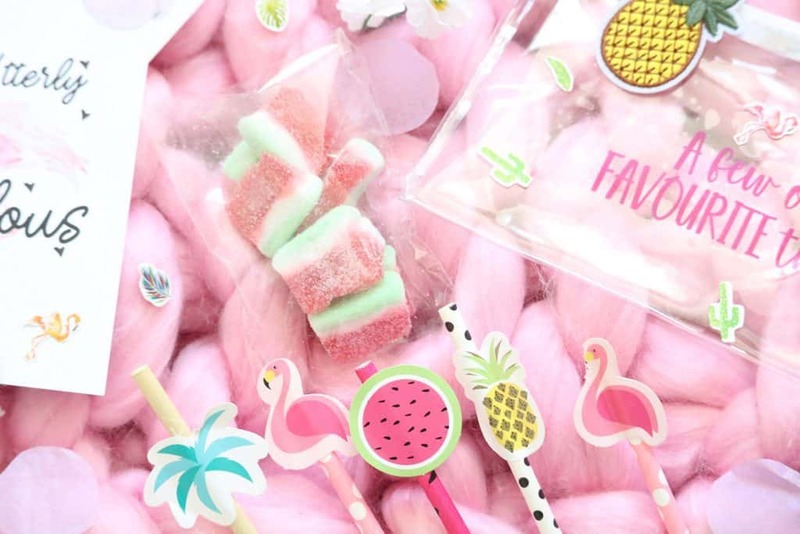 The items range from sweets and straws to prints and accessories. Let’s get the first item out of the way because it is the only item in the box that I’m not happy with and it’s just a personal issue. I’m a vegetarian and I have been for over ten years now and as these cute sweets contain pork and beef gelatine so I can’t eat them sadly. 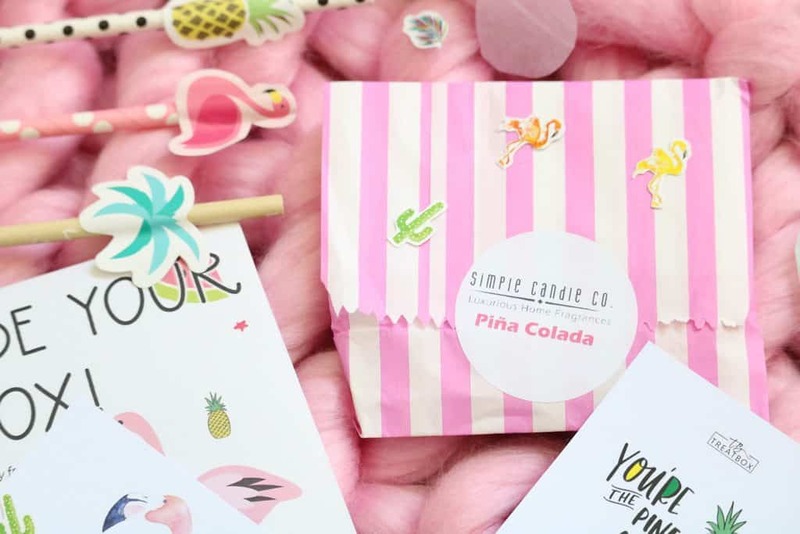 The next item smells amazing and it is the Simple Candle Co Pina Colada Wax Brittle which you use in the same way that you would with wax melts (in a wax burner/warmer). The wax is bright pink and smells so perfect for summer as it’s sweet and tropical. Next up, a cute pencil case with the text ‘a few of my favourite things’ print on the front. As the case is clear and has a zip closure so it could also be used as makeup bag within carry on luggage for summer holidays. 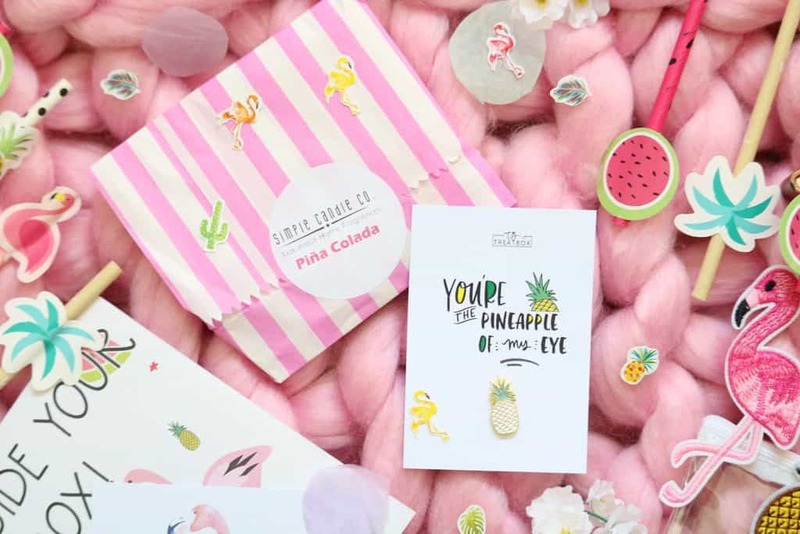 Now onto more of the cute summer accessories, included in the July box which are two adorable iron on patches in the shape of a flamingo and a pineapple. I don’t use iron on patches too often but these patches would be perfect to add onto a denim jacket, scarf or a backpack. 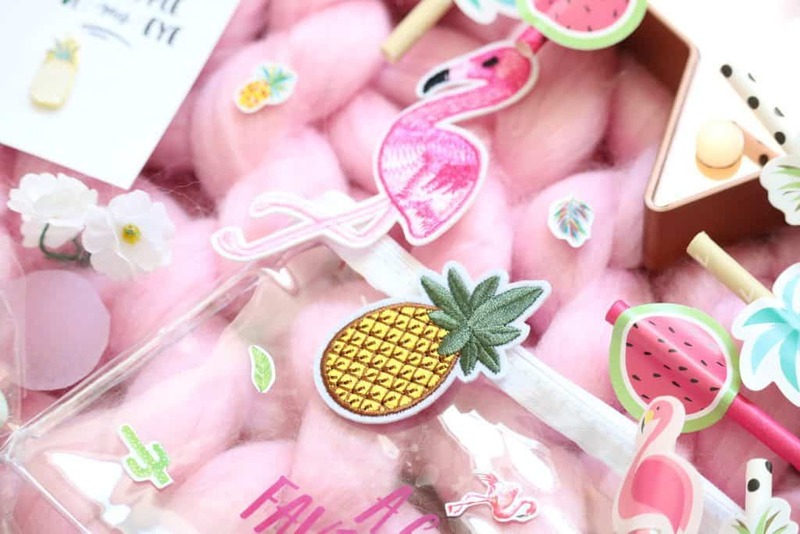 There are so much cute items in the July box but my favourites have to be the tropical inspired straws! I use straws for my smoothies all of the time and these would look great to brighten up my smoothie on a dull grey day. There are five of each design so you get twenty five per pack. I love the design for the pineapple and dragonfruit straws! Another adorable, tropical item is a Pineapple Pin which is so well made and I love the design – it’s so cute. As with iron on patches, I don’t use pins very much but I’m going to have to start because this one is so cute. I think I will start adding them to my bags! In each Treatbox there’s a cute print but in this months box, there are two! The mini ‘utterly fabulous’ flamingo print is my favourite and I think I’ll use it as a card. The second print is A4 sized featuring cute cacti and succulents so it’s just adorable. 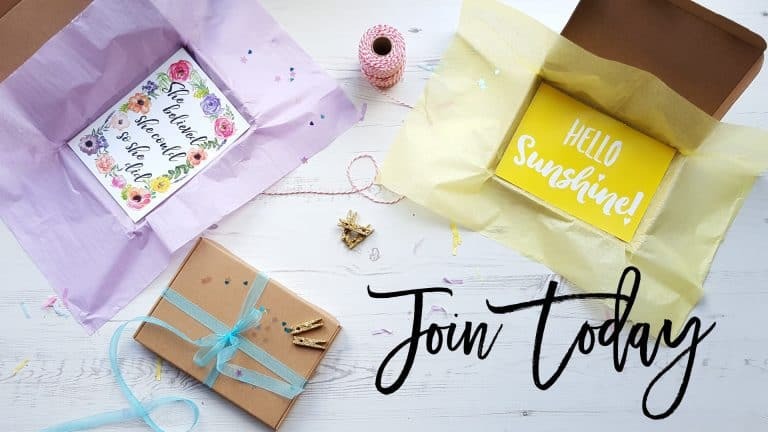 Overall, I love the summery and topical theme of the July box as well as the wide range of items and just how many there are! 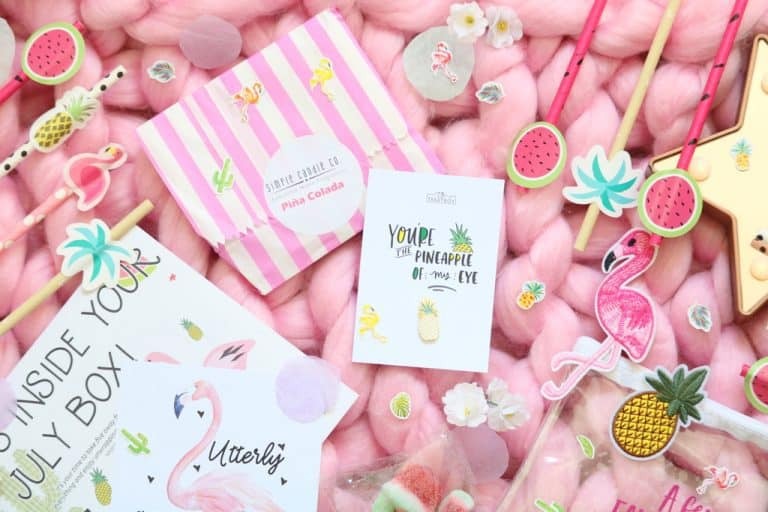 My favourites from this months box have to be the cute straws, heavenly scented wax brittle and the adorable pineapple pin. 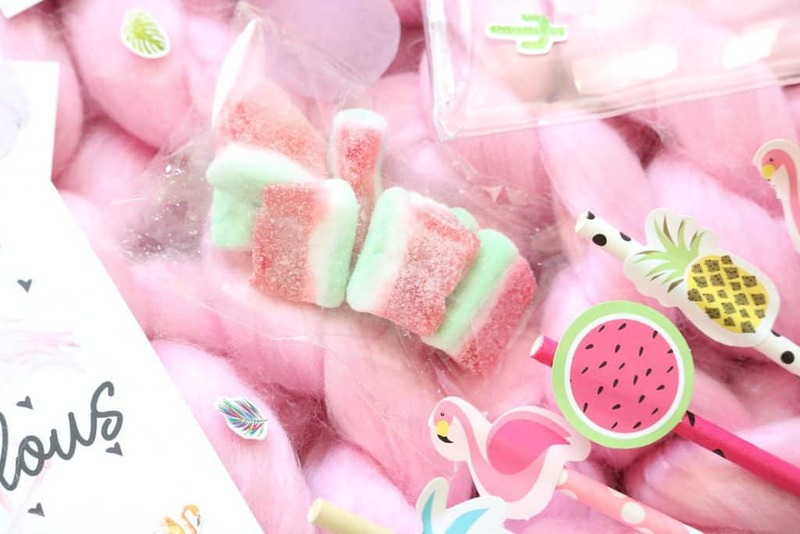 It's just a shame that I can't eat the cute watermelon sweets.